A medical cannabis cultivation company in Canada has replaced its CEO after it was revealed that the company used a banned pesticide. A medical cannabis cultivation company in Canada has replaced its CEO after it was revealed that the company used in its growth process a pesticide that has been banned due to health problems arising in those who have imbibed it. 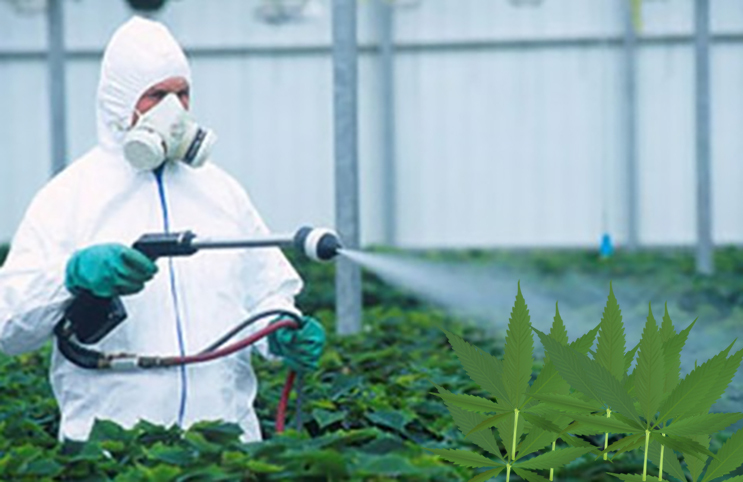 Organigram Inc. – which has received a license to cultivate medical cannabis in the United States’ neighbor to the north – discovered the presence of the pesticides myclobutanil and bifenazate in December before announcing a recall of ninety-six of its products. Myclobutanil (a fungicide) and bifenazate (an acaricide) have both become known in medical cannabis circles as producing toxicity when heated. They are not among the thirteen pesticides approved for use by the Canadian government in the cultivation of medical cannabis. Organigram subsequently launched an internal investigation that the company later determined to have been “inconclusive” and resulting in “no hard evidence” as to how the pesticides were used in the products. The company’s CEO, Denis Arsenault, issued a statement in which he stated that the investigation had been thorough and that it was an isolated incident in time,. We are determined to never have this happen again… The inquiry was thorough and was undertaken with the full cooperation and assistance of Health Canada and outside experts. Arsenault then laid out a list of seven initiatives that the company had implemented to ensure the incident does not occur again, including more thorough testing of its products, screening of its suppliers, and increased security measures in the company’s growth facilities. Because of the pesticide scare and the resulting public relations fallout, Organigram announced that its leadership team had undergone a restructuring. Denis Arsenault, who has helmed the company for three years, was replaced on Wednesday by Greg Engel. According to a company press release, Mr. Arsenault announced that he will stay aboard in an investor relations role to make way for Mr. Engel, who previously served as the CEO of another medical cannabis provider, Tilray Canada Inc. It has been three years to the day since I joined Organigram and I’ve achieved most of my goals as company CEO and believe it’s time for me to pass the torch to a seasoned executive with demonstrated leadership skills. The company also announced a refund campaign valued at over $2 million in which those who had purchased products that in which the pesticides had been used would have their money returned. The refund initiative could be an effort to head off a class-action lawsuit on the part of customers who had purchased the products, a prospect that is reportedly being reviewed by at least two Canadian law firms.